Romaine lettuce has been infected by a dangerous strain of E. coli, getting many sick. 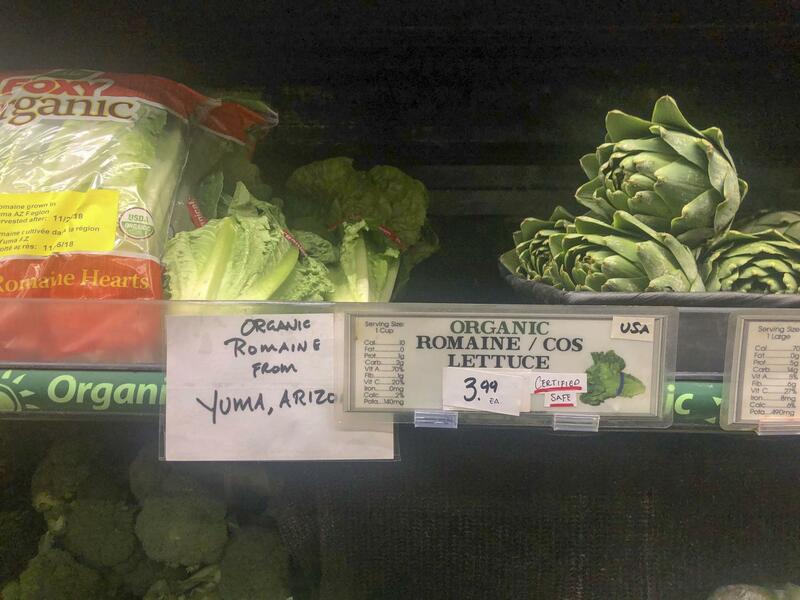 The new romaine labels have been put into place at Bianchini's market in San Carlos. Escherichia coli O157:H7, a rare form of E. Coli, is extremely dangerous because there are no vaccinations or medicine available to get rid of symptoms and it has the potential to painfully damage the lining of the small intestine. The toxin in this dangerous strain of E. coli contains a toxin that has potential to damage the lining of the small intestine which can be very painful. Unfortunately a multistate outbreak of E. coli has started to occur due to the romaine lettuce farms in central California, affecting 47 people around the U.S.
Last week the FDA made it clear to restaurants, markets and households that the infected lettuce must be destroyed immediately and more recently companies that sell romaine have gotten new labels proving they are not infected. 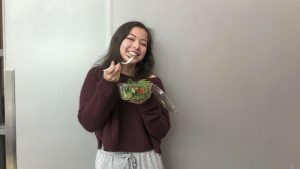 “The FDA sent out a letter to all the businesses that carry romaine so that they could take necessary actions to keep customers safe and satisfied steps,” Isaac Deutch, an Employee at the Old Port Lobster Shack in Portola Valley explained. People who decide to take the risk and eat the infected romaine may experience symptoms such as abdominal cramping, bloody diarrhea, and vomiting. 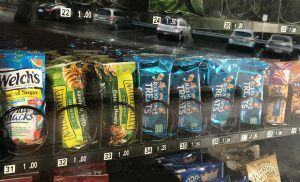 Luckily, stores were very quick to dispose of the infected product and even took further steps to prevent people from eating it if they had already bought it. Technology has been a very helpful resource to bring awareness to people who may have not known about the outbreak and had romaine already. Now that the FDA has found out where the infected product came from, they have given markets and stores permission to start selling romaine again. The infected lettuce seems to have occurred in November in mid-California farms, but people across the U.S.were affected because the farms distribute lettuce throughout the country. Woodside High School student, Caden Hansen, risking it all by devouring a salad containing romaine lettuce.